Make your Christmas special here on the picturesque Tweed Coast. The Tweed Coast will transform this December as the streets and coastline come alive with lights, decorations, and a brilliant festive atmosphere, providing an unforgettable experience for couples and families that are looking to spend Christmas somewhere different. 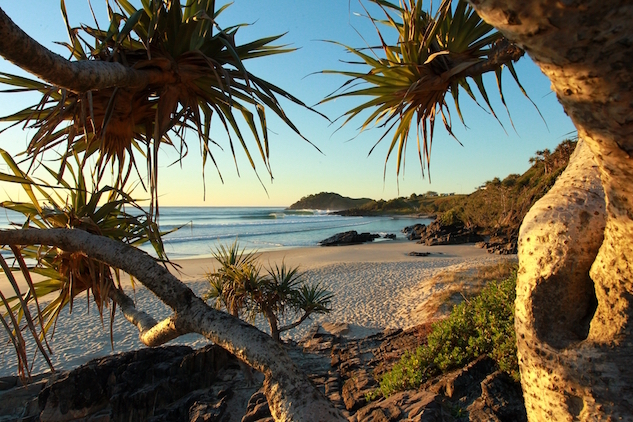 The Beach Resort Cabarita offers your ideal break over the Christmas holidays. Our affordable Tweed Coast accommodation on Cabarita Beach provides a fantastic choice of luxury holiday apartments for couples and families, as well as stunning penthouse accommodation that’s perfect for larger groups. This December you can relax by the scenic Cabarita Beach, and absorb the magical festive atmosphere that the Tweed Coast has to offer. Our onsite facilities offer luxury and respite during your break. Take your pick from three outdoor swimming pools here at The Beach Resort Cabarita, offering a choice of heated or unheated, all surrounded in relaxing tropical gardens. Soak in our spa after a busy day, or enjoy an in-room massage for the perfect treat. Indulge onsite at The Beach Bar and Grill, or enjoy barbecue by the pool with our outdoor cooking facilities. With the Tweed Coast having such a close location to the Southern Gold Coast, you can enjoy exploring famous spots such as Coolangatta Beach, Bilinga Beach, and Snapper Rocks at your leisure – each offering their own festivities and celebration throughout the Christmas period.